The bill failed by a vote of 53 to 44. The Born-Alive Abortion Survivors Protection Act would have mandated that babies born alive after an abortion would receive the “same protection of law as any newborn.” The bill required 60 votes to pass. Democratic presidential hopefuls Kamala Harris of California, Amy Klobuchar of Minnesota, Cory Booker of New Jersey, Sherrod Brown of Ohio, Kirsten Gillibrand of New York and Elizabeth Warren of Massachusetts voted against the bill. Independent Vermont Sen. Bernie Sanders also voted against the measure. Democratic Illinois Sen. Tammy Duckworth described the bill as an obvious effort “to bully doctors out of giving reproductive care,” and voted against it. Democratic Sens. Joe Manchin of West Virginia, Bob Casey of Pennsylvania, and Doug Jones of Alabama voted in favor of the bill. Republican Alaska Sen. Lisa Murkowski didn’t vote. Republican South Carolina Sen. Tim Scott was reportedly on his way to vote in favor of the measure. “He would’ve absolutely voted for it,” a National Review writer tweeted. “Those senators who voted against this bill that obviously protects human beings will have a lot to answer for when they face the voters,” Students for Life of America President Kristan Hawkins said, according to a press release. “Senators who could not bring themselves to vote to pass the Born-Alive Abortion Survivors Protection Act should reconsider whether or not they have what it takes to serve,” March For Life President Jeanne Mancini also said in a statement. “This should not be a partisan issue, but it is telling how extreme the Democrats have become that they even refuse to condemn infanticide,” Family Research Council President Tony Perkins said in a Monday statement. 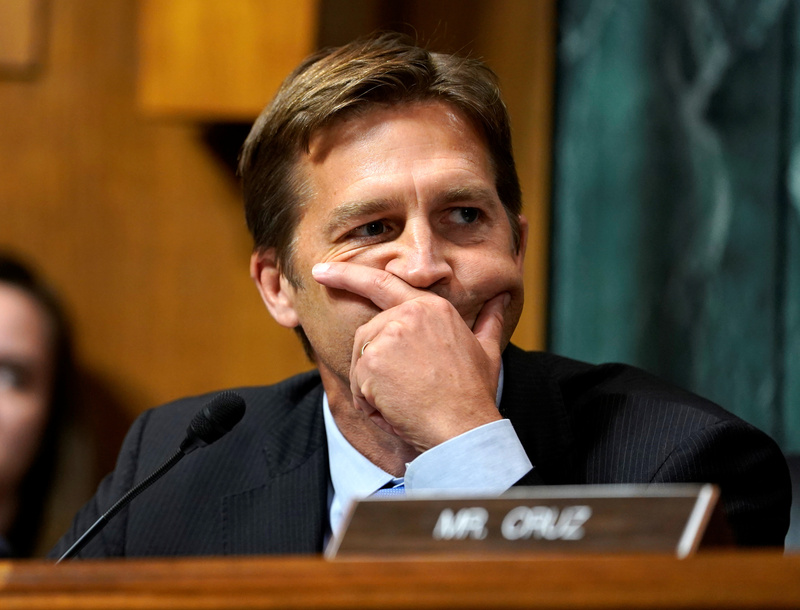 “Nothing in this bill touches abortion access,” Republican Nebraska Sen. Ben Sasse said on the Senate floor Monday afternoon ahead of the vote. Sasse first introduced the bill Feb. 4, but Democratic Washington Sen. Patty Murray blocked the bill, calling the measure unnecessary since post-birth abortions are illegal. The House is considering a similar bill. House Minority Whip Steve Scalise is an original cosponsor of the bill and pushed his version of the Born Alive Abortion Survivors Protection Act forward by filing a petition in order to set the bill in motion, Politico reported. Republican Missouri Rep. Ann Wagner announced the re-introduction of the bill Feb. 6. Americans are split down the middle on abortion, with 47 percent of Americans identifying as pro-life and 47 percent identifying as pro-choice, according to a Sunday Marist poll. The number of Democrats who say they’re pro-life rose 14 percent between January and February, the poll reveals. The senate’s vote follows New York’s passage of the Reproductive Health Act in January, codifying a woman’s ability to abort under state law and allowing women to have abortions after 24 weeks to preserve the mother’s health. The Vermont House passed a bill Feb. 21 that gives women the right to have elective abortions up until birth and strips away rights of unborn babies. Rhode Island, Maine, New Mexico and Maryland are also considering proposals to expand abortion access.